13 Easter Basket Ideas For Kids They'll Absolutely Love | Nerd Much? Typically speaking, we don’t like to load our kids up on candy. After all, sugar is the devil. So when holidays like Easter come around and we’re looking at Easter basket ideas for our kids, we tend to veer away from loading up on the typical sugary gifts like the low-quality chocolate eggs and Peeps that plague the Easter aisles in your favorite big box retailer. 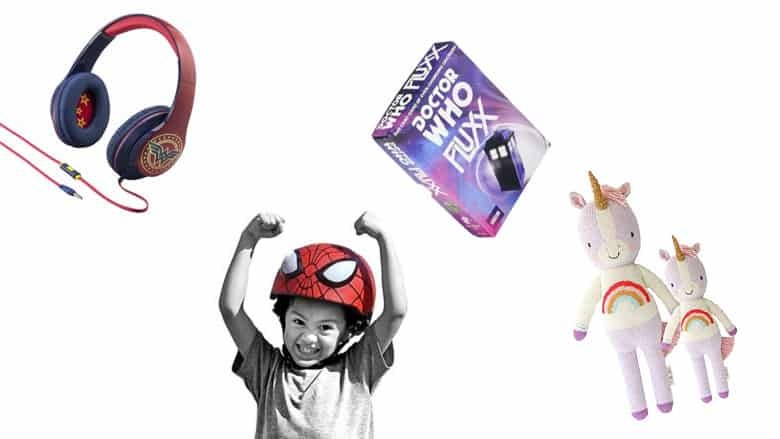 Instead, we treat the holiday as another opportunity to bless our kids with some awesome nerdy gifts they’ll love. This is a great introduction to fantasy for any middle-grade reader, and is, in fact, my 10-year-old’s favorite book series. He anxiously awaits new books the way I used to do with Harry Potter, frequently picks up the old books and re-reads them, and will talk at great length about the plot to anyone willing to listen. I wouldn’t suggest them for younger children because there are some violent battle scenes, but it’s definitely a great series for middle grade readers and even one that parents and tweens can enjoy together. Spider-Man: Into The Spider-Verse, which scored a well-deserved 97% on the Tomatometer, is perfect for the whole family to enjoy together. I wasn’t sure it would hold the attention of my 6-year-old, but she was riveted for the entire two hours. The animation style is completely unique, well-suited to the source material, and visually stunning. 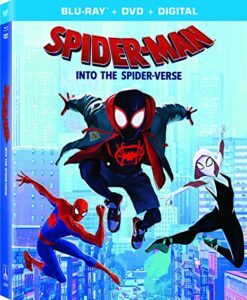 It is packed with laugh-out-loud moments for children and adults alike, but underneath the humor is a heartfelt story that serves as the perfect cinematic introduction to Miles Morales as Spider-Man (not to mention Spider-Gwen). 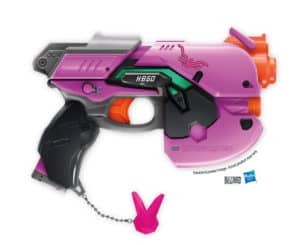 Let’s be honest…I’m kind of hoping for that D. Va blaster in MY Easter basket. What else is there to say about these? There’s a reason Nerf has been a staple in kids’ toys for decades, and if your kid is an Overwatch fan, they’re sure to be delighted with these. Nerf guns are great for this time of year in particular because we know your kids (like ours) are generally going stir-crazy after the long winter, and this is the perfect way to burn off some of that excess energy. 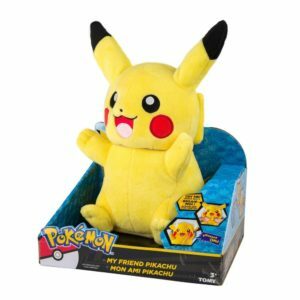 If your child loved Pokémon: Let’s Go, Pikachu! and Let’s Go, Eevee! as much as mine, they will also love these adorable interactive plushies. Pikachu features moving ears, light-up cheeks, and 10 sounds and phrases; Eevee features moving ears and 10 sounds and phrases. Both are 10″ tall, wonderfully soft and cuddly, and activated by squeezing their belly. Your child will feel like a real Pokémon trainer carrying one of these around! One of the best investments I ever made was a pair of headphones for each of my children. Seriously, you’ll thank me when they start playing Roblox or watching the world’s most obnoxious YouTuber. Obviously, I encourage monitoring your children’s online activity…but that shouldn’t mean you have to LISTEN to it. 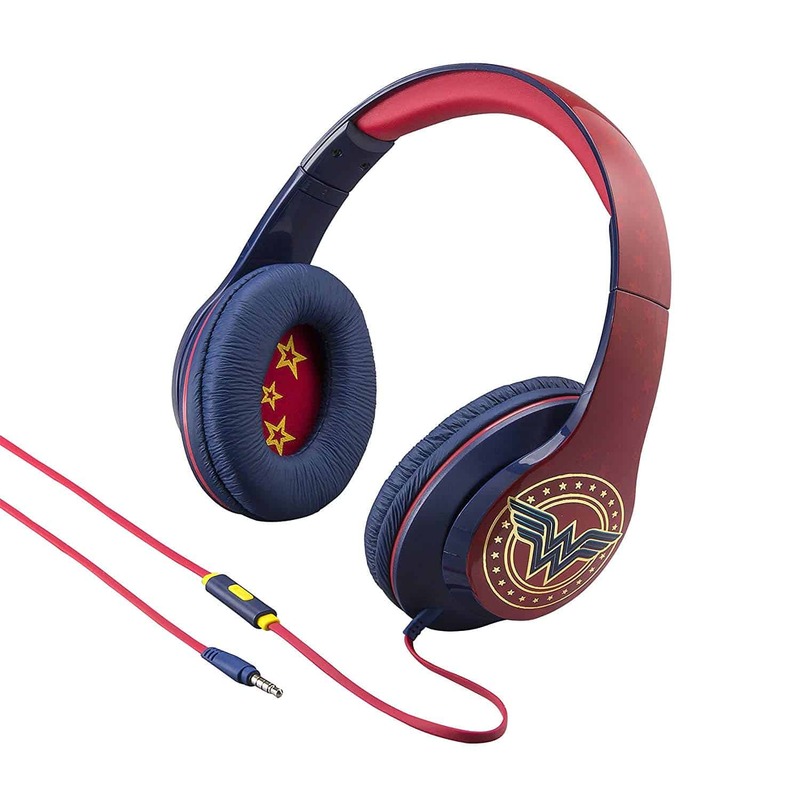 Also, headphones are often a requirement for school nowadays, so these would be a great option for that as well. Although honestly, they’re so cool-looking, your kid might not want to leave them at school. I was blown away by the quality of these beautiful hand-knit dolls when I received them. 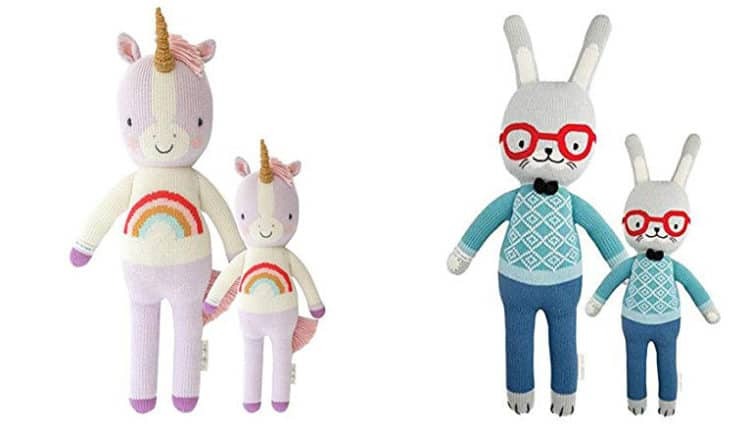 The price tag seems a little high, but these are definitely an heirloom-quality gift; they are ethically produced by artisans in Peru, hand-knit and embroidered, non-toxic, and the best part: each doll purchases provides 10 meals to children in need. The founders are parents of three and were inspired to start cuddle + kind after watching a documentary on child hunger. They have partnered with organizations such as World Food Program USA School Meals Program, Children’s Hunger Fund, orphanages in Haiti, and more in order to distribute these meals. The Fortnite obsession is REAL, y’all. Approximately 100% of my son’s screen time is occupied with the infamous free-to-play Battle Royale game, while the rest of his day consists of him recounting his matches to me in excruciating detail. Although a gamer myself, I was never bitten by the Fortnite bug, which seems especially pervasive among 10 to 12 year-olds. 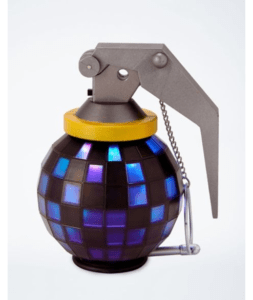 If this includes your child, they’ll love this light-up version of the Boogie Bomb from the game – which may look violent, but in reality, it just forces everyone in a nearby radius to DANCE. One of the (many) reasons I love Target is for their affordable selection of licensed graphic tees that generally span all my children’s favorite franchises. 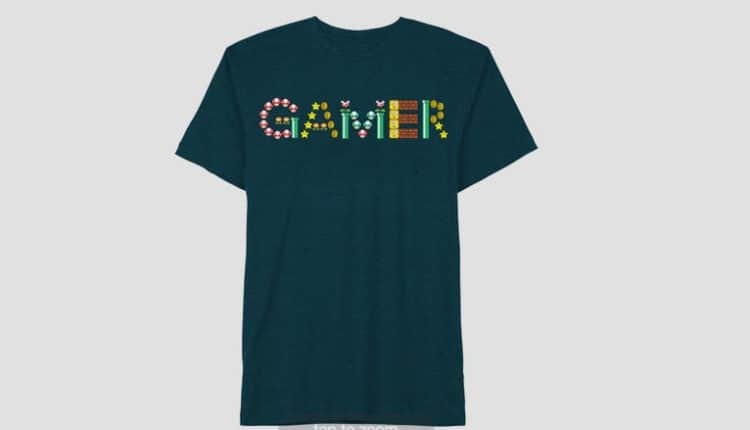 This one in particular spells out “Gamer” in easily recognizable symbols from the Mario universe. It has that added nostalgic value for parents, of course — what’s better than seeing your kids enjoy the same characters you did at their age? I’d buy a matching shirt for myself if it came in adult sizes, but it doesn’t, so I’ll have to settle for seeing it on my spawn. No matter how much time passes or how many other games catch their interest, the one my kids always seem to gravitate back to is Minecraft. It also seems that clothing manufacturers are starting to catch on that girls play Minecraft (and other video games), too. Why should my daughter have to shop in the boys’ section to rep one of her favorite pastimes? 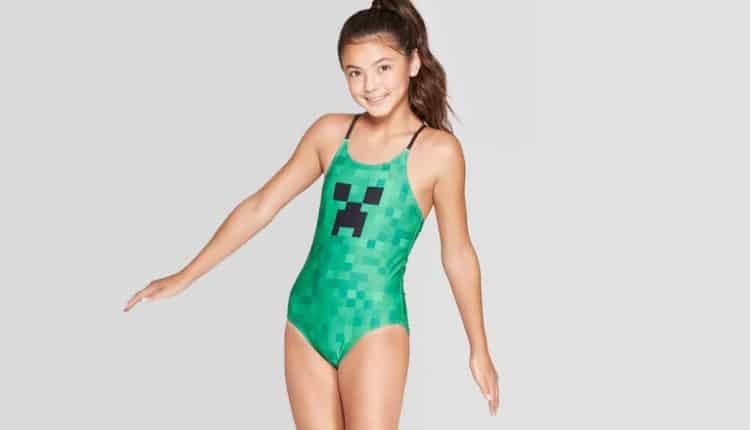 The pixellated green body and simplistic facial expression make this one piece suit look exactly like one of the creepers from the game, without the worry of blowing a hole in the side of your pool. Fluxx is a favorite game in our household. It’s great because it’s easy to pick up on, but it doesn’t get old because you never play the same game twice. 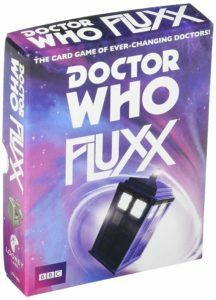 Better yet, it comes in a variety of fun editions, like this Doctor Who-themed version — described as “the most ever-changingest, timey-wimey version of Fluxx ever created”. It features multiple incarnations of the Doctor, companions, and recognizable villains such as Daleks, Cybermen, and Weeping Angels. 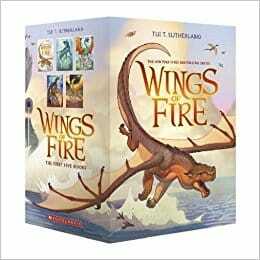 It’s recommended for ages 8 and up, but slightly younger children could probably grasp it with some help. Easter is a great time for outdoor toys because the colder areas are just starting to warm up and the snow is finally melting. 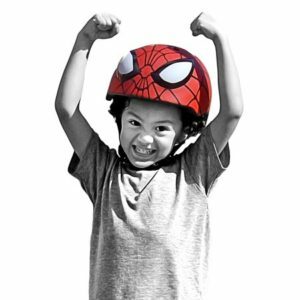 Encourage your child to go outside and get some exercise with this awesome Spider-Man helmet that looks just like Spidey’s mask. This ASTM and CPSC Safety Certified helmet comes with a shock-absorbing EPS inner shell, adjustable nylon straps, and aerodynamic cooling vents. It fits heads measuring 50-54 cm (about 5-8 years of age). To complete the look, you can even pair it with this snazzy protective pad and glove set (web not included). 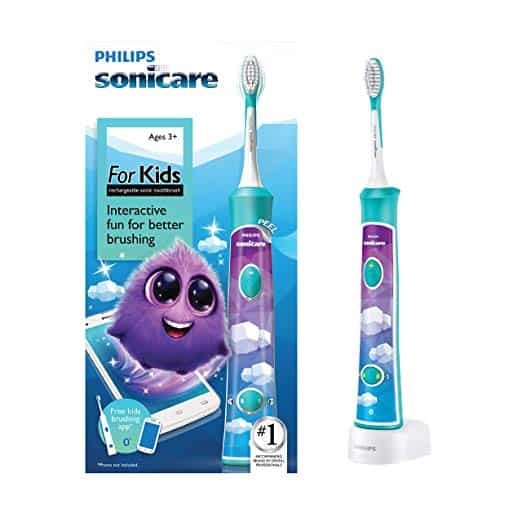 If there’s a better way to get your kids excited about brushing their teeth than with a Bluetooth-connected toothbrush and app, I certainly can’t think of one. It almost adds a gaming aspect to brushing their teeth to make it feel a little less like a chore. It’s rechargeable and features a KidTimer to make sure kids brush for the recommended two minutes, as well as a KidPacer to alert them to move to the next quadrant of their mouth for a thorough clean. Plus, it comes with cute stickers to customize the handle. The app -available for iOS and Android – is interactive, educational, and offers fun rewards for brushing. I know I’m not the only parent that likes to use holidays like Christmas and Easter as an excuse to get my kids things they need anyway. 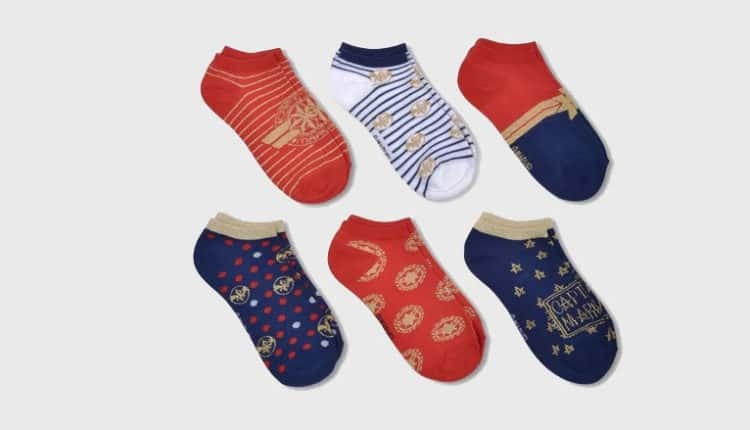 If you’re going to get your kids something essential like socks, you might as well get them some they’ll be excited about, like these adorable Captain Marvel socks. They come in a pack of 6 no-show socks, each pair featuring a different print from the new Captain Marvel movie.